e-ASTROGAM (‘enhanced ASTROGAM’) is a breakthrough Observatory space mission, with a detector composed by a Silicon tracker, a calorimeter, and an anticoincidence system, dedicated to the study of the non-thermal Universe in the photon energy range from 0.3 MeV to 3 GeV – the lower energy limit can be pushed to energies as low as 150 keV, albeit with rapidly degrading angular resolution, for the tracker, and to 30 keV for calorimetric detection. The mission is based on an advanced space-proven detector technology, with unprecedented sensitivity, angular and energy resolution, combined with polarimetric capability. Thanks to its performance in the MeV-GeV domain, substantially improving its predecessors, e-ASTROGAM will open a new window on the non-thermal Universe, making pioneering observations of the most powerful Galactic and extragalactic sources, elucidating the nature of their relativistic outflows and their effects on the surroundings. With a line sensitivity in the MeV energy range one to two orders of magnitude better than previous generation instruments, e-ASTROGAM will determine the origin of key isotopes fundamental for the understanding of supernova explosion and the chemical evolution of our Galaxy. The mission will provide unique data of significant interest to a broad astronomical community, complementary to powerful observatories such as LIGO-Virgo-GEO600-KAGRA, SKA, ALMA, E-ELT, TMT, LSST, JWST, Athena, CTA, IceCube, KM3NeT, and the promise of eLISA. High-Energy Gamma-Ray Astronomy High-Energy Astrophysics Nuclear Astrophysics Compton and Pair Creation Telescope Gamma-Ray Bursts Active Galactic Nuclei Jets Outflows Multiwavelength Observations of the Universe Counterparts of gravitational waves Fermi Dark Matter Nucleosynthesis Early Universe Supernovae Cosmic Rays Cosmic Antimatter. The full author list and affiliations are given at the end of the paper. 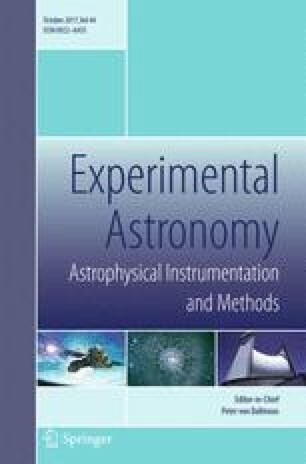 The contribution by P. Couzin (TAS-F), G. Cluzet (TAS-F), X. Roser (TAS-F), A. Laurens (CNES), D. Delrieu (CNES), M.-F. DelCastillo (CNES), C. Contini (CGS), P. Lattanzi (CGS), B. Morelli (CGS), A. Spalla (CGS), is acknowledged. The research leading to these results has received funding from the European Union’s Horizon 2020 Programme under the AHEAD project (grant agreement n. 654215).